Am pretty sure most of us already know that the only surviving CDMA operator in Nigeria which happens to be visafone fully belong to Mtn now. MTN acquired the telc company early this year amd this was majorly because of the 4g network they were planning to introduce. And this actually gave birth to the name Mtn Visafone(Mtn-v). Now Mtn has been test running their 4g network for quite sometime now and the coolest thing is that you can also get into the action by subscribing for the 4g plans. 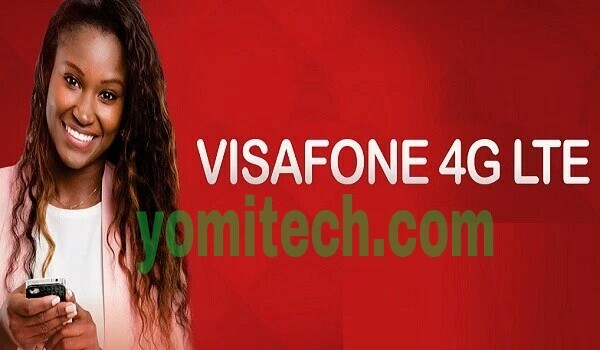 To subscribe for the 4g plan, you will need a visafone sim card that has already been migrated to the Mtn network. Unfortunately the 4G LTE network is not yet available for Normal mtn sim cards at the moment. Of course there is no way you can access 4g LTE network if your device isn't compatible. So before you subscribe, make sure your device supports 4g LTE network. Make sure there is 4g network coverage in your area before you subscribe. Enable the 4g network on your phone and make sure you can see the signal bar before you proceed. => Make sure you have enough airtime on your line. => Choose "3" from the on-screen command and go ahead to purchase any data plan of your choice. Before you can re subscribe probably after exhausting your data plan, you have to opt out of your current data plan first. => Reply with "3" then "8" after that just select Deactivate. => Once you have successfully deactivated your cure plan, you can go ahead and resubscribe. If you have any question, feel free to drop it in the comment box below and also don't forget to share this post on your social media platforms.